Bocar A. Kouyaté is a MD with post graduate training in epidemiology and public health (MPH and PhD). He is a senior advisor to the Minister of Health in Burkina Faso since 2010. 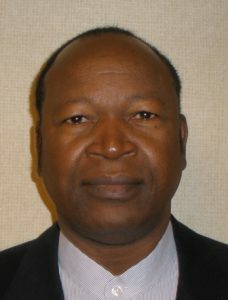 He is the founding Director of Nouna Health Research Centre (CRSN), Nouna, Burkina Faso in 1999. He served as Director of Nouna Health Research Centre (CRSN) from 1999 to 2006. From 2006 to 2010, he was Director of the National Research and training Centre for Malaria (CNRFP), Ouagadougou, Burkina Faso. He is one of the founding members of INDEPTH Network in 1998, and was a member of the Board of the network from 2000 to 2005. He was the Chair of African Vaccine Regulatory Forum (AVAREF) from 2010 to 2013. He was a member (2002-2006) and Chair (2006-2013) of the National Ethics Committee (NEC) for research for health, Burkina Faso, from 2002 to 2013. During the last 10 years, he was part of the development of SOPs and curricula for training and he trained researchers, ECs members and other stakeholders involved in research ethics. Bocar Kouyaté is member of the Programme Committee of the Global Health Policy and Health Systems research programme for WOTRO Science for Global Development/ Netherlands Organisation for Scientific Research since 2007 and a member of the Scientific and Technical Advisory Committee (STAC) of Alliance for Health Policy and Systems Research since 2011. His research interest is on health system and he conducted research on effective strategies for malaria control (new drugs, ITN/LLIN, involment of CHWs in malaria treatment…) as well as research on community based insurance as a strategy to improved access to health for the poor. After being a member or leading many teams in research for health and holding a variety of administrative positions, his research interest is now the use of the results of research into policy and practices (GRIPP). During the last five years, he conducted studies on the use of research findings for policy and programs in close collaboration with researchers, policy makers and other stakeholders in the frame of Evidence Policy Network (EVIPNet) Africa.